Due to closure of Vecova due to a power failure on September 10, the New Recruit Information night has been rescheduled to Monday, September 15, 2014. Registration will be ongoing through to May 2015. Are you between the ages 12 to 18 and interested in flying or the air element of the Armed Forces? Are you looking for a challenge to bring out the best in yourself and your abilities? 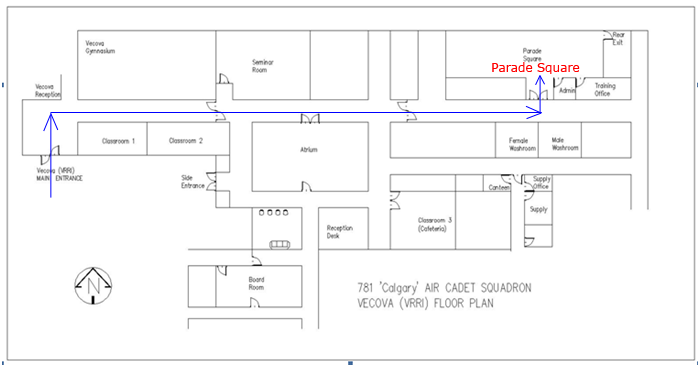 Then look no further, because the Air Cadets is the program for you. You’ll make lifelong friends, learn valuable skills and increase your self-esteem. We are hosting an information session on Wednesday, September 10, 2014 to provide information for parents and children who are interested. We will also enroll new Cadets for those who want to sign up. Parking: Parking is free after 6 pm. Please find the Parent Information & Volunteer Form below. Parent participation is the key to the success of our squadron, we need your full support.